Office Mobile for Android sneaked into the headlines while the world was watching the arrival of Microsoft’s Office suite to iPad. So, let’s give them each the space they deserve here and in our mobile devices. Microsoft Office makes its debut on iPad after a long wait. Many thought Microsoft would give its rival company a miss, but Word, PowerPoint, and Excel are finally available on the App Store. The three separate apps come with the familiar Office look with menus and navigation intuitively built for touch; but the look also gives due to the flat design of iOS. The three apps are free to download, but you will need a monthly Office 365 subscription to create and edit documents. You can read and present documents with Office for iPad without a subscription and sync it across devices with the help of Microsoft OneDrive and OneDrive for business. You can go for a 30-day trial at Office.com. Minimum requirement is iOS 7.
iPhone and Android users get to hear some good news thanks to Microsoft’s new-found “mobile first” intent. 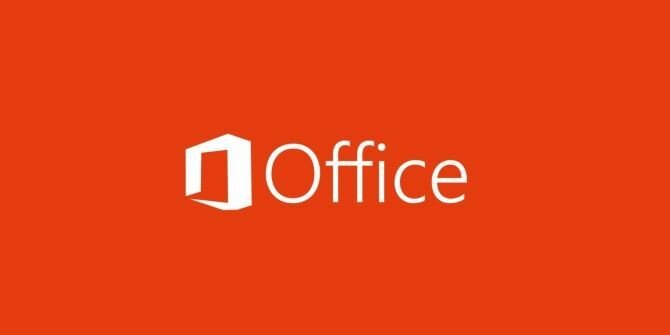 The Office 365 subscription has been removed and Office Mobile for iPhone and Android is now free for home use. Carry your Microsoft Word, Microsoft Excel and Microsoft PowerPoint files anywhere. View or edit them on your iPhone; formatting and changes are seamlessly synced across the cloud thanks to OneDrive. Office Mobile is available in the App Store [No longer available] and Google Play [No longer available]. Both bits of news should be well-received if you rely on Microsoft’s suite of products. Try them hands-on and tell us your first impressions…and second. I personally feel a flat one-time payment would have been better. But with Microsoft's renewed focus on the cloud, I guess it makes more business sense for them. Well, the free version doesn't let you create new documents. So, if your requirement is basic, you should be happy with compatible apps. The Office apps have been designed from scratch. It is not ported from their main version, nor is it stripped down. Reviews and reports do compliment the design and usability of the app. Whats the footprint of this? I like using Office but on a tablet device like my Nexus or iPad I am quite content with using apps that are quite compatible opening Office files. I think this may be coming a little too late but sure, better late than never for something Microsoft first swore was not being developed for iOS/Android. Office for Android only works for my ZTE Geek, wich is running on a Intel processor. It doesn't work on my Nexus 7 (Qualcomm), nor shows it to be compatible with any previous devices I had in the past (Asus Memopad HD 7 -MTK). Some comments in the Web community are alluding to that as well. I'm sorry, but the "Description" on the Google Play store page should read as "Deception" because it's not compatible on any of my Android devices. I have Two tablets (one personal and one for work) and two phones. Obviously, this app needs a ton of work before it's ready for prime time. Thanks for the feedback, Ken.